A stunning low mileage 420d M Sport with full BMW service history in Alpine White with black full leather trim & brushed aluminium accents. A pleasure to drive but still ultra economical with £30 annual road tax & a published fuel economy of up to 72.4 miles per gallon. Well equipped with BMW Professional widescreen satellite navigation, cruise control, heated sport seats, DAB radio, BMW Concierge Service (subject to BMW terms), rain sensor wipers, automatic Xenon headlights, sun protection glass, front & rear parking sensors, upgraded BMW 19" M Sport star spoke alloy wheels and more. 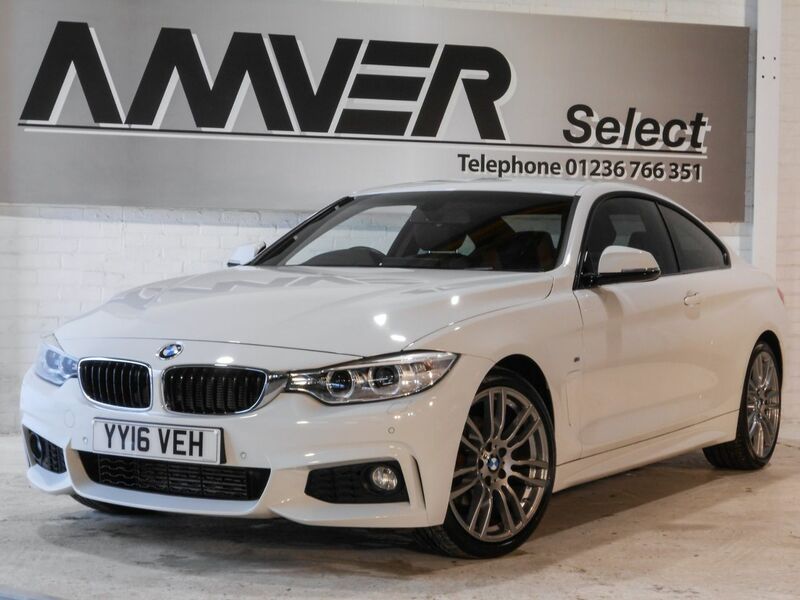 Just 14,000 miles, previously sold by ourselves & supplied with complete book pack in BMW wallet, two keys, BMW new-car warranty until May 2019 & then a further six months Momentum Platinum Plus warranty so that you can drive away with total confidence knowing that you are benefiting from what is probably the best warranty cover available in the UK today.